Effective: traditional weaving reinterpreted in contemporary designs. 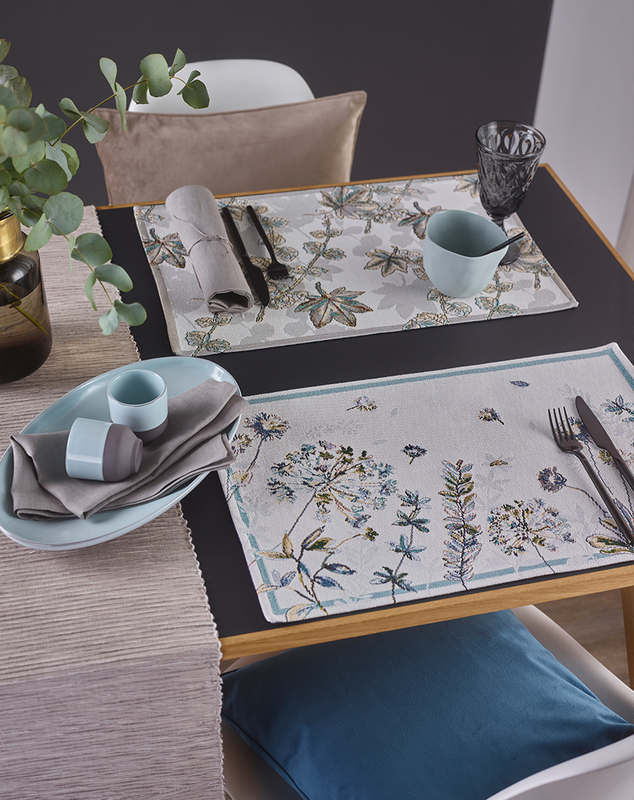 Gobelins are convincing thanks to the rustic appearance of the fabrics, their pleasantly firm grip and special imagery. 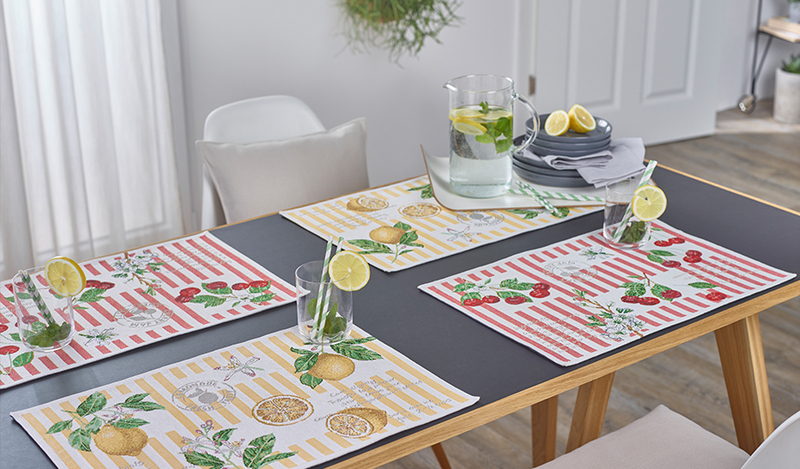 Table runners, placemats and bread baskets with maritime or country-house motifs such as herbs, fruit or flowers inject life into any kitchen or dining room. Symbolic and vibrant.